Shade your outdoor seating area with StrombergBrand and get superior quality with an incredible one-unit minimum. The Vented Bistro Umbrella has 6 printable panels and valances, along with a three-position tilting device. Best of all, it has a removable canopy for easy cleaning and inexpensive replacement—Just $48.00(C) each, plus decorating costs. These unique commercial quality patio umbrellas have patented construction features. 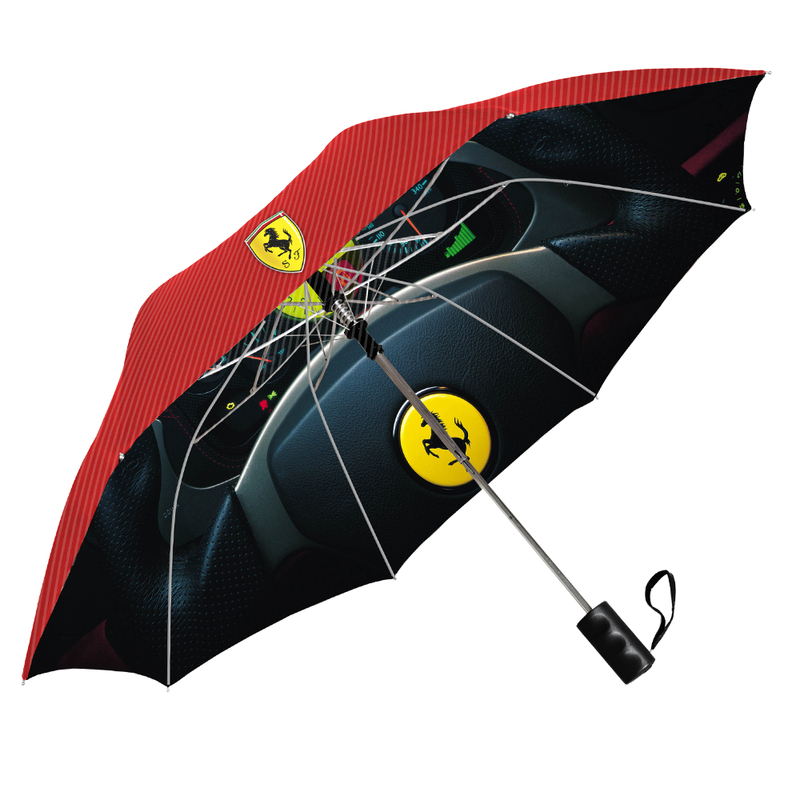 Only available from StrombergBrand Umbrellas. For more than 96 pieces, please call for a quote. With our Full-Color Canopy Printing program we digitally print designs and images on entire canopies at a low minimum, price and turnaround. 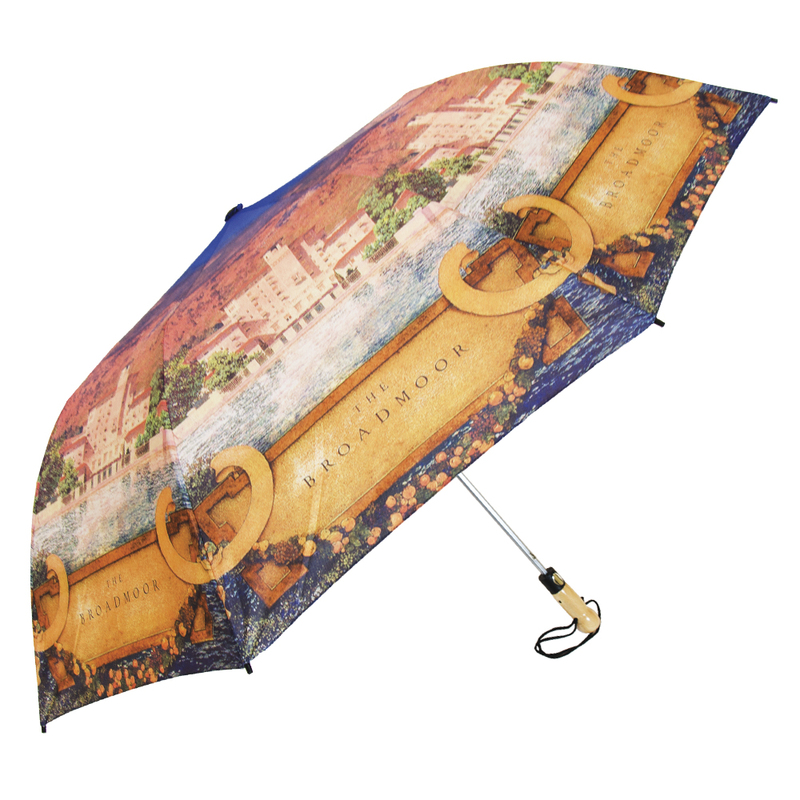 This Single Canopy option is modeled after our Windproof Umbrella (SB-1210) and allows for full-color top canopy printing. With our Full-Color Canopy Printing program we digitally print designs and images on entire canopies at a low minimum, price and turnaround. 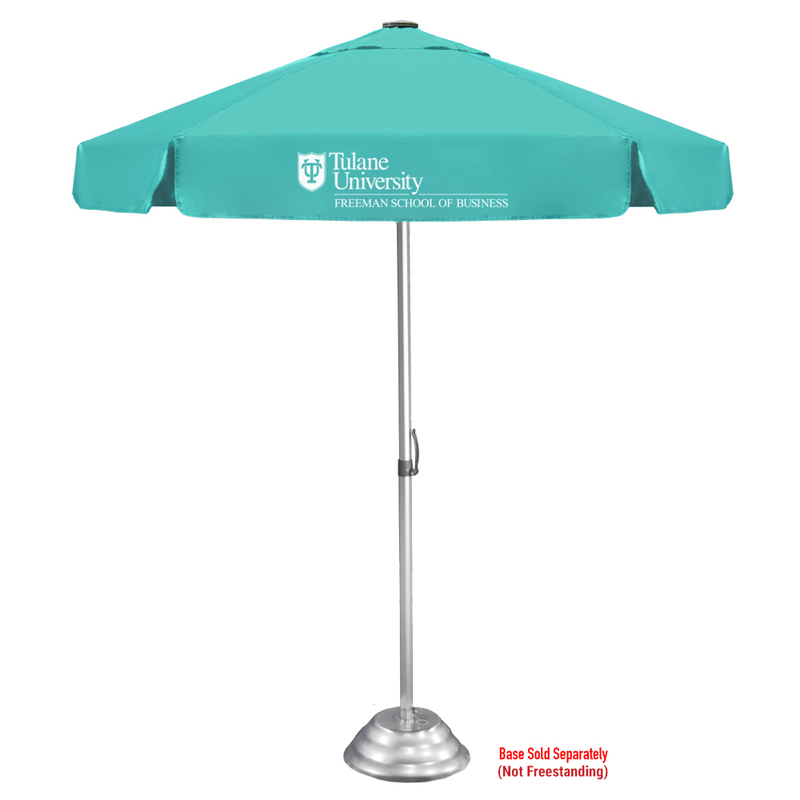 This Single Canopy option is modeled after our Little Giant Umbrella (SB-1700) and allows for full-color top canopy printing. With our Full-Color Canopy Printing program we digitally print designs and images on entire canopies at a low minimum, price, and turnaround. 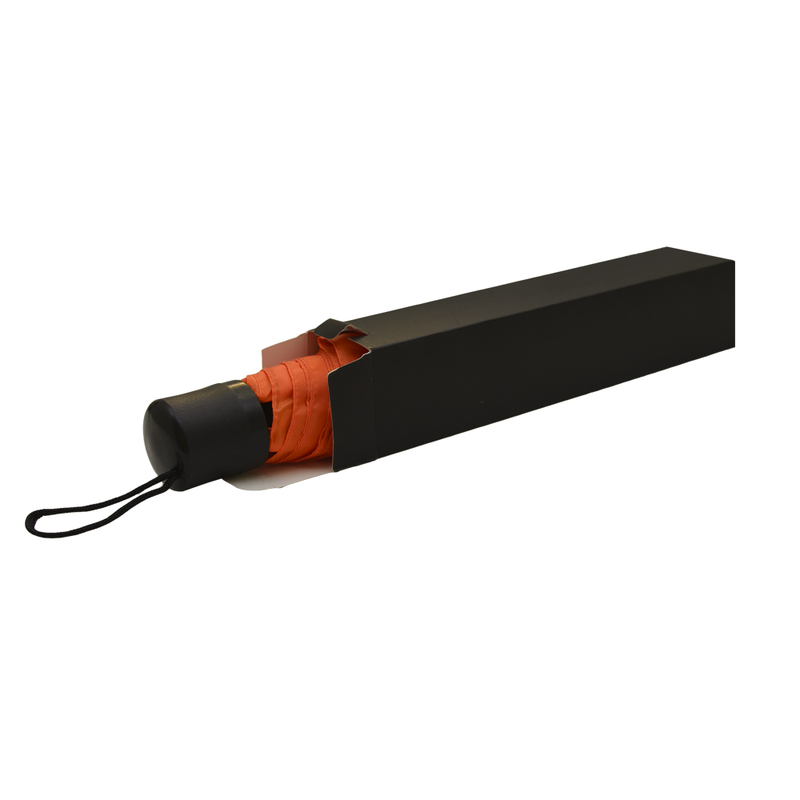 This Double Canopy Standard option is modeled after our Windproof Umbrella (SB-1210). It has two layers of fabric allowing for one full-color bottom or top canopy printing; plus a 1-color, 1-location imprint on the solid fabric canopy. 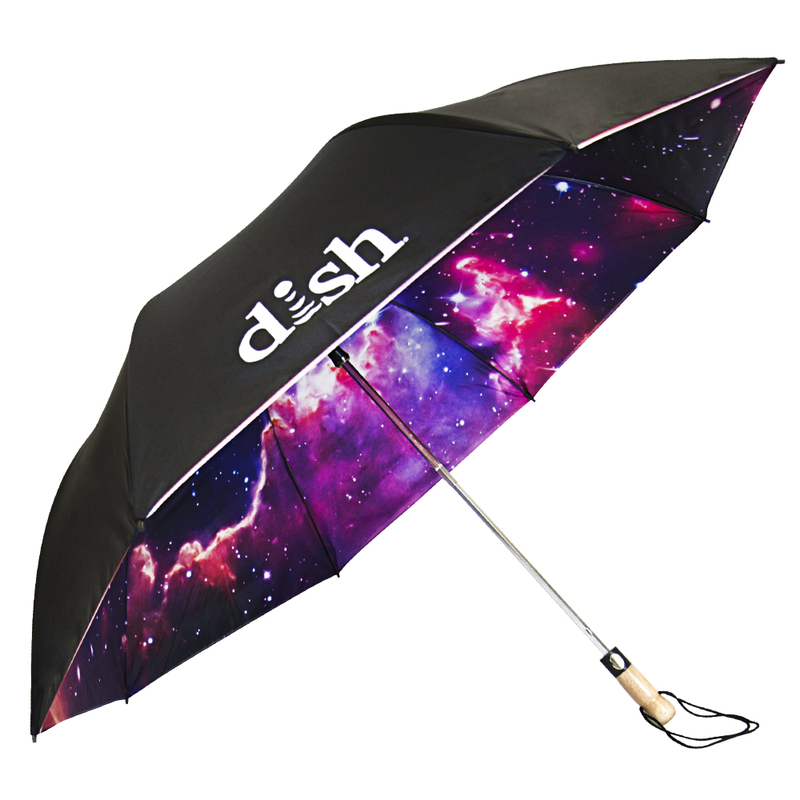 With our Full-Color Canopy Printing program we digitally print designs and images on entire umbrella canopies at a low minimum, price, and turnaround. This Double Canopy Standard option is modeled after our Little Giant Umbrella (SB-1700). It has two layers of fabric allowing for one full-color bottom or top canopy printing; plus a 1-color, 1-location imprint on the solid fabric canopy. With our Full-Color Canopy Printing program we digitally print designs and images on entire canopies at a low minimum, price and turnaround. This Double Canopy Deluxe option is modeled after our Windproof Umbrella (SB-1210). 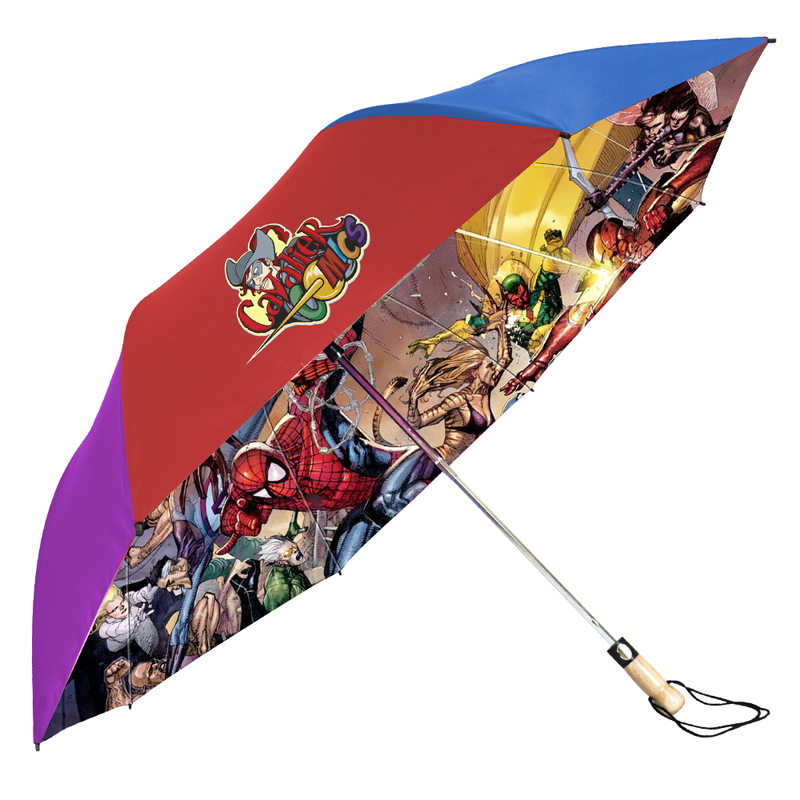 It comes with two layers of fabric allowing for both full-color bottom and top canopy printing. 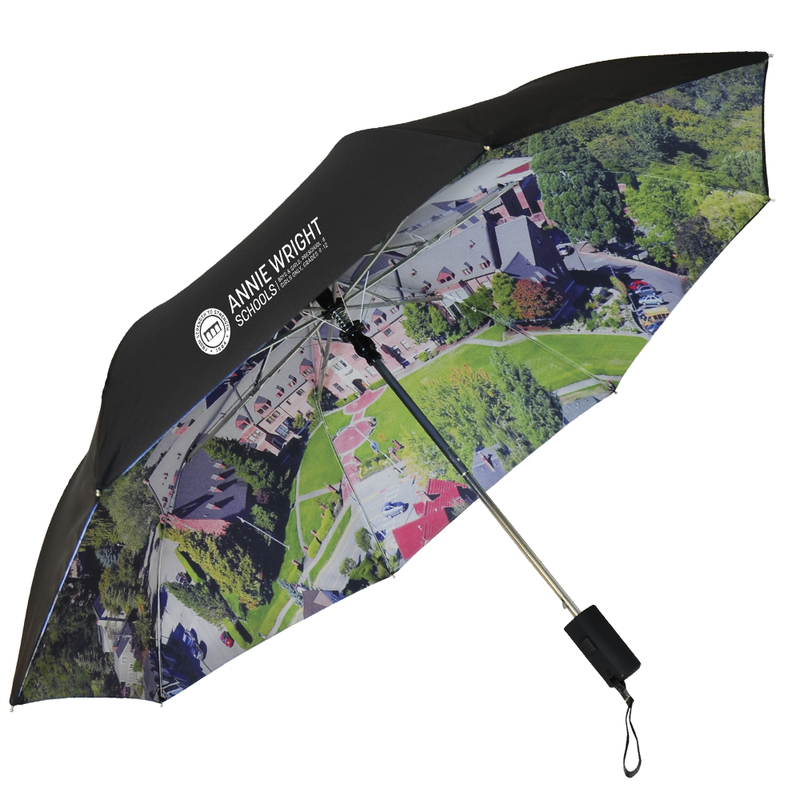 With our Full-Color Canopy Printing program we digitally print designs and images on entire umbrella canopies at a low minimum, price and turnaround. This Double Canopy Deluxe option is modeled after our Little Giant Umbrella (SB-1700). It comes with two layers of fabric allowing for both full-color bottom and top canopy printing. 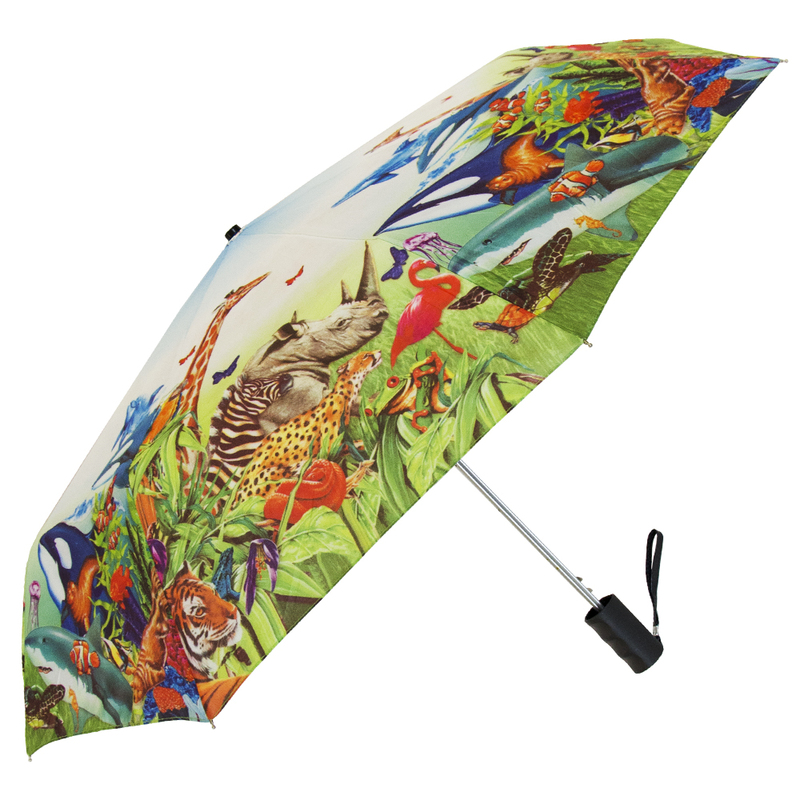 Available for folding umbrellas only, up to 12" long. Great matches include our Director and Compact umbrellas.